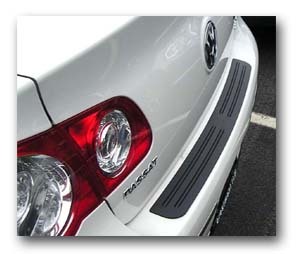 OEM Style Bumper Cover Protectors provide loading and unloading bumper protection. Engineered to shield your bumper from scuffs, scratches and nicks. Restore damaged bumpers and protects new ones! All Bumper Protectors offer a Three (3) Year Warranty. To see all of the Rear Bumper Cover Protection available, please click one of the vehicle makes below. If you do not see your vehicle listed, please email us.